How many books have you re-read? If you have re-read books, please tell us the book's title and why you re-read it. Of course I've reread books, but I'd be here awhile if I listed them all, so I'll stick to the one I've reread the most: Les Miserables by Victor Hugo. I've always loved this book; it's poetic and beautiful. I have my favourite scenes marked so I can quickly find them, even if I don't have time for a full reread. Actually, I wish I could reread more books, especially some of the classics, which I read for the first time a good twenty years ago. I'd like to revisit them to see how my life experiences have altered my perception of them, but despite my best plans, new books seem to occupy all my time. One for sorrow: Mary Tudor, a magpie queen--dress black, face chill white, pearls hanging in her hair like teardrops--stands in the pose of a woman with child, her right palm flat across her swollen belly. Fanguin, whose eyesight had appeared impeccable, began polishing a pair of spectacles with a spotted handkerchief, a theatrical performance designed to give maximum effect to his reply. 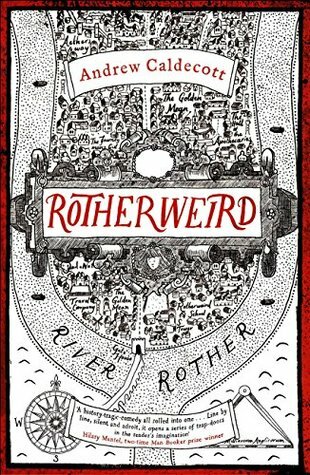 The town of Rotherweird stands alone - there are no guidebooks, despite the fascinating and diverse architectural styles cramming the narrow streets, the avant garde science and offbeat customs. 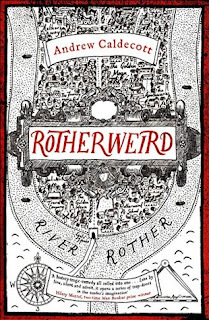 Cast adrift from the rest of England by Elizabeth I, Rotherweird's independence is subject to one disturbing condition: nobody, but nobody, studies the town or its history. For beneath the enchanting surface lurks a secret so dark that it must never be rediscovered, still less reused. But secrets have a way of leaking out. Two inquisitive outsiders have arrived: Jonah Oblong, to teach modern history at Rotherweird School (nothing local and nothing before 1800), and the sinister billionaire Sir Veronal Slickstone, who has somehow got permission to renovate the town's long-derelict Manor House. Slickstone and Oblong, though driven by conflicting motives, both strive to connect past and present, until they and their allies are drawn into a race against time - and each other. The consequences will be lethal and apocalyptic. Wonderful answer.....a few other bloggers mentioned they would like to re-read to see if their perspectives have changed. I find that very interesting, and would guess they have changed. I am really enjoying the answers to this question. I actually do not re-read, though. Have a nice weekend, Nicki. Thanks for stopping by, Elizabeth! I love how eloquently everything sounds with the choice of phrasing the author uses. Happy weekend! It is fun to reread a book you've read many years ago to see how your opinion of it changes. 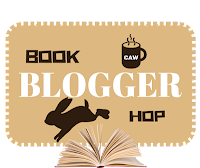 I love to reread books, but like most bloggers I don't seem to have the time to do it anymore. Yeah, time is always the most difficult factor. I need to first get through Les Miserables. I started it many years ago, one summer between years at the university and only made it so far before school started up again. I set it aside and never went back to it. Someday I would like to read it all the way through. I hope you have a great week. Thanks for sharing. Les Miserables has a slow start, but once you get past that, it picks up, so it's worth sticking with it through those opening chapters. I'm adding this to my tbr - thanks for sharing! Thanks for stopping by. I hope you'll enjoy the book too.